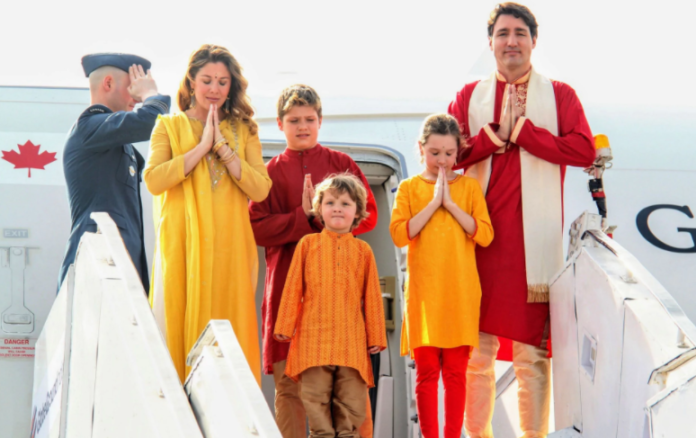 The Canadian PM, Socialist Justin Trudeau, landed in New Dehli to a very, well, boring reception. When he landed he was greeted by nobody, which is very odd for a head of government not to be greeted by a government minister or his opposite number. Instead he had to wait until he got to the Taj Mahal a day later, only to be received by a junior agriculture minister. It is rumoured that the Indian premier decided against seeing Trudeau in public due to his alleged support for Sikh seperationists. The PM is showing his displeasure over Mr Trudeau attending an event organised by Sikhs in Toronto last May that featured posters and flags demanding the Sikh homeland of Khalistan. His welcome stands in stark contrast to heads of foreign governments who have been personally received at New Delhi’s airport by prime minister Narendra Modi himself, known for his warm public embraces with world leaders.